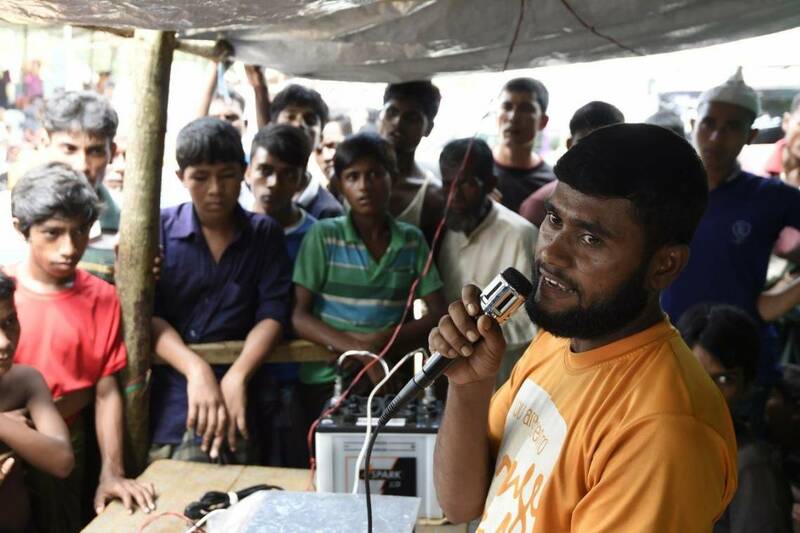 Fondation Hirondelle is expanding its project to support improved two-way communications between populations and humanitarian organizations in the Rohingya refugee camps and nearby host communities in Bangladesh. As a part of this project, we are recruiting a Head of Project to oversee all aspects of implementation of its activities in the camps. The Head of Project in Bangladesh is responsible for overall implementation of Fondation Hirondelle’s project and its action plan in the Rohingya refugee camp and host community. She/he will contribute to the evolution of Fondation Hirondelle strategy in the country. She/he will represent Fondation Hirondelle, its values, its mission and its program in country. The head of project reports to the program manager based in Switzerland and supervises a team of 8 permanent staff and a large team of community producers. · Oversee and manage all local and international employees. · Ensure progress on Hirondelle’s registration application in Bangladesh. · Define the project’s action plan and ensure on-time implementation of activities; responsible for monitoring progress on all activities and indicators and reporting to HQ and donors. · Regularly identify and analyze the populations’ needs, anticipates changes in context that would impact the project and propose solutions. · Represent Fondation Hirondelle with partners, donors, and coordinating groups. · Ensure coordination of activities with project partners. · Financial and administrative management of all activities in Bangladesh; responsible for the use of all project resources. · Fundraising at field level for Fondation Hirondelle operations in Bangladesh. · Communicate on project implementation with external actors and potential partners. - Minimum 3 years field experience managing projects in refugee camps or crisis situations. - Experience in communicating with communities programming and/or media development desired. - Excellent coordination and communications skills. - A problem-solver who is flexible, thrives in challenging contexts and works well under pressure. - Experience working in a multicultural and multilingual context. - Experience working with Rohingya populations or in Southeast Asia is an advantage. - Fluency in English; Bengali a plus. Conditions: This position is based in Cox’s Bazar, Bangladesh, and contingent on funding. It is ideally a 6 month posting, with the possibility to renew for a total of 18 months. Preferred start date is November 1, 2018.